Going to a dependably delicious Japanese restaurant and ordering a variety of sushi rolls is about as good as it gets. How could it possibly get any better? Well, for those who like to have a well-crafted alcoholic drink with their meal, the answer is simple: sake. Sake (pronounced sa-kay) is a Japanese drink that is made by fermenting rice. It contains rice, water, yeast, and koji—a type of mold that converts the starchy rice into fermentable sugars that promote the production of alcohol. Though some often mislabel it as a wine, its taste and brewing process is not that similar to wine, and sake has a higher alcohol content than both wine and beer. Sake can be found in most Japanese restaurants, including our very own Nikko Japanese Restaurant. Though we are regarded as having the best sushi in Charlotte—according to the Best of Charlotte—we also have a premium sake menu, which includes a range of different sake. To help prepare you for your next Japanese restaurant visit, we would like to share with you some information on the national beverage of Japan. Sake is brewed from milled rice. When rice mills, it removes things like fats, proteins, and other elements that impede the fermentation process and alter the taste. The degree to which the rice has been milled—meaning, how much of the outer portion of each grain has been ground away—determines the strength and grade of the sake. Gingo – Made in a labor-intensive way that requires cooler temperatures and longer fermentation time, this variety of sake is known for having delicate, sweet, and complex flavors. Daiginjo – This type of sake is traditionally made in smaller quantities and by adhering to traditional brewing practices. It is known for having a rich flavor and aroma, and it pairs nicely with sashimi and tempuras. Honjozo – Honjozo is a type of sake that has distilled ethyl alcohol—also known as brewer’s alcohol. Its flavor profile is best described as sweet, complex, and fragrant, and experts recommend pairing it with a noodle dish, like Japanese ramen. Junamai – Translated junamai means pure rice sake. As you might have inferred based on this translation, the only ingredients of this type of saki are rice, water, and koji. It tends to have a flavor profile that leans more toward an acidic, full-bodied, explosive taste, and it works with a wide range of Japanese foods, including sushi, toro, and other fatty meats. When looking for the right sake for you, remember that sometimes the “best” sake isn’t the best for you. In this way, it is similar to wine. The best is what tastes best to you. We’ll keep this answer short: sake is not a shot! Don’t treat it as such. It is meant to be sipped and enjoyed. Take a sip, let it linger in your mouth, and appreciate its flavors. You can drink it hot, warm, chilled, or cold. The choice often depends on the drinker’s preference, the season, and quality of the drink. 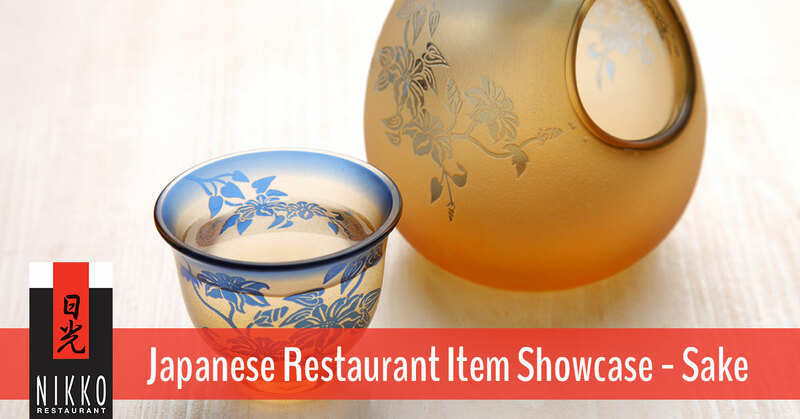 It is traditionally served out of a porcelain flask, called a tokkuri, and poured into small porcelain cups called sakazuki. It is quite enjoyable with food, especially spicy foods and dishes that help create an interesting and enjoyable contrast. Where Can I Get Sake? Though many sakes are not imported and distributed in the U.S. because of a heavy tax, delicious sake can still be found all over the country in grocery and liquor stores as well as most Japanese restaurants. If you’re looking for a fine sake in Charlotte. Look no further than Charlotte’s best sushi bar—Nikko Japanese Restaurant. A cold or hot sake can accentuate your sushi or Japanese food, giving you a true appreciation for the simplicity and brilliance of Japanese cuisine. View our sushi menu here! And check out our sake menu here!